Joy’s Special massage: A mix of sports, deep tissue, passive joint movement and myofascial release to bring vitality and relaxation to the client. Sports massage therapy is deep and invigorating. This massage also utilizes cross-fiber techniques to clean out old adhesions and scar tissue to promote better performance and faster healing. Deep Tissue massage therapy uses slow strokes and deep pressure to manipulate fascia. Pregnancy massage: A pregnant body goes through so much change during the nine months — this massage promotes balance and relaxation. It nurtures both mother-to-be and baby. When the doctor releases a patient to receive a massage (after the baby is born), a post-natal massage helps the new mother heal and relax. Geriatric massage is a gentle massage with the elder body’s needs in mind. Special consideration is made for the delicate skin and attention is paid to making gentle passive movements to the joints. Swedish massage therapy is also called circulatory massage. This is a “light” massage best known for relaxing the body and improving circulation using long, smooth strokes. Shiatsu: This word translated from Japanese means “finger pressure”. This is an Acupressure massage therapy that uses the practitioner’s pressure on the meridians and tsubos to promote good health and release blocked energy by stimulating the movement of chi. Tui Na: An Eastern modality that uses oscillation to increase energy along with traditional presses and pulls. This massage seeks to increase and balance chi (life energy) and focuses on moving chi through ill and injured areas where blockages tend to occur. SCENAR therapy: A safe and non-invasive method for relieving pain by stimulating the central nervous system using gentle biofeedback electro-therapy. Please see the SCENAR price list. Contraindications for SCENAR are pregnancy, epilepsy, and pacemakers. Essential Oils: Pure therapeutic grade plant extracts are wonderful healing additions to skin- and health-care, as well as amazing additions to your first aid kit and medicine cabinet. 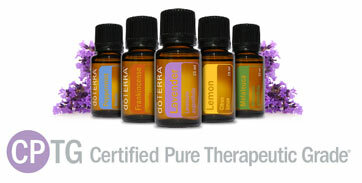 Of course individual research is necessary to make sure that essential oils are right for you. 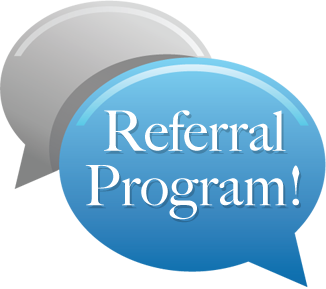 Each and every time a referral writes your name on their intake form, you get 30% off your next session! Cancellation Policy: We understand that unanticipated events happen occasionally in everyone’s life. In our desire to be effective and fair to all clients, the following policies are honored: 24 hour advance notice is required when cancelling an appointment. This allows the opportunity for someone else to schedule an appointment. 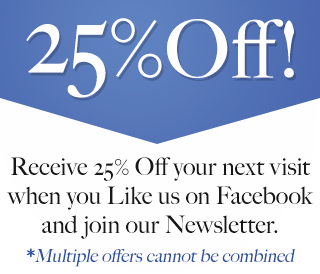 If you are unable to give us 24 hours advance notice you will be charged the full amount of your appointment. This amount must be paid prior to your next scheduled appointment and you will be asked to pay in advance when scheduling in the future. No-shows: Anyone who either forgets or consciously chooses to forgo their appointment for whatever reason will be considered a “no-show.” They will be charged for their “missed” appointment. Late Arrivals: If you arrive late, your session may be shortened in order to accommodate others whose appointments follow yours. Depending upon how late you arrive, your therapist will then determine if there is enough time remaining to start a treatment. Regardless of the length of the treatment actually given, you will be responsible for the “full” session. Out of respect and consideration to your therapist and other customers, please plan accordingly and be on time.